Circuit Court Judge Kyle Hedrick speaks at the Pachyderm Club on Monday. The main difference between the two candidates running for Hamilton County Circuit Court judge in the May 1 Republican primary is that Gov. Bill Haslam — after an extensive examination process — appointed one of them to replace Judge Neil Thomas III, who retired in October, until this year's election. Judge Kyle Hedrick was chosen in December from a panel of three finalists and has served since in the court that hears both domestic and civil cases. His opponent is Catherine "Cate" White, who was an original applicant for the unexpired term but was not chosen to be a finalist. Before Haslam made his final selection, though, White threw her hat into the ring for the rest of Thomas's unexpired term. Since there is no Democratic candidate for the post, the winner of the primary is all but assured of winning the general election in August. 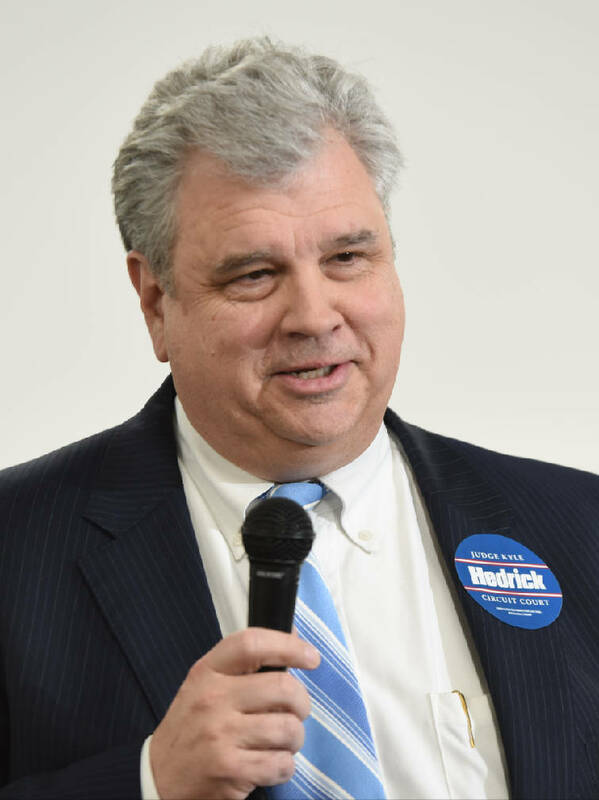 Hedrick, who said he'd "never done anything political" and didn't plan to run for the judgeship if he had not been appointed, said the five-month process for being selected included an 11-page application, personal interviews, a Tennessee Bureau of Investigation background check, and interviews with the governor's attorneys and the governor. Before applying for the position, he'd been an attorney for 24 years with the firm of Ramer and Hedrick. He'd also been an administrative hearing officer for Chattanooga, Collegedale, East Ridge and Red Bank. "I'm not sure there's a [court] forum I haven't been in," he says. Hedrick has been endorsed for keeping his job by his predecessor, Thomas, and several other retired judges. White, like her opponent a Chattanooga native, said it's "important that people (as opposed to Haslam) choose who they want on the bench." She said her extensive experience in what she described as the very "sensitive" practice of family law — which is more than 50 percent of the court's cases — should give her an edge. "That's been my primary focus," White said, "though I have other experience." She also has been a special judge for City Court and has had specialized training to be a family law mediator. While we believe White is highly qualified for the position, we support Hedrick because the exhaustive selection process found him to be the best person for the job. Tennessee State Rep. Marc Gravitt talks Tuesday, January 5, 2016 at the Chattanooga Times Free Press. In the Republican primary race for register of deeds, two men are vowing to make an efficient office even better. What more could the public ask for? In the campaign between the two, state Rep. Marc Gravitt and Hamilton County assessor's office residential property manager Randy Johnston, we favor Gravitt because of his variety of experience. In addition to two terms in the state House, he has been a commissioner and vice mayor of East Ridge, and a business owner. More importantly, he also has been a real estate broker, where for more than 20 years he has dealt with the register of deeds office as a customer. The office's current occupant, Pam Hurst, as well as Criminal Court Clerk Vince Dean, former County Mayor Claude Ramsey and the county's legislative delegation, have endorsed Gravitt for the job. 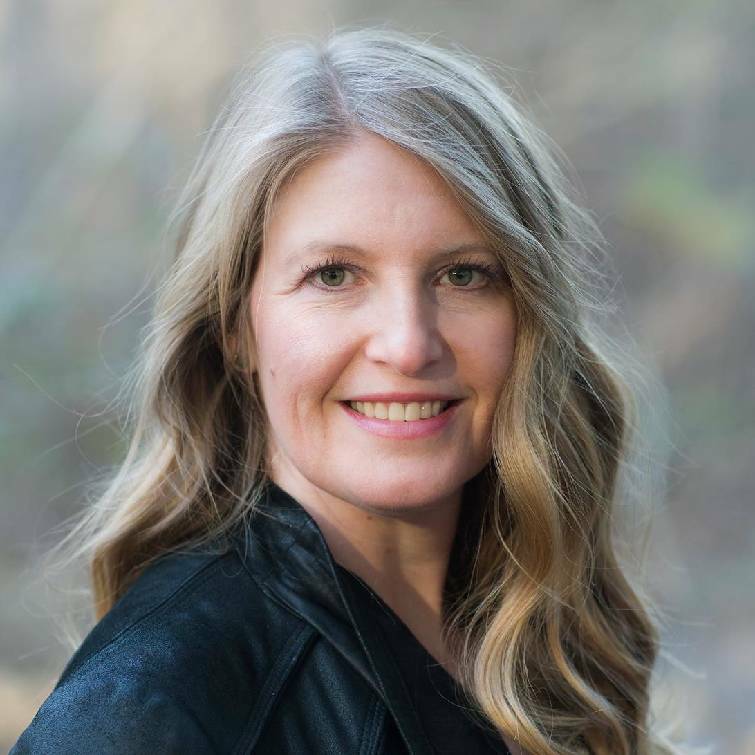 "Pam has extremely large shoes to fill," he told the Times Free Press editorial board, adding that she had modernized the office, made it run better and is held in such high regard that she was asked to write the Tennessee register of deeds handbook. Johnson points to his 30-plus years of experience in a "sister office" to the register of deeds and to his promotions by three assessors, including the office's current occupant, Marty Haynes, who defeated him in a three-way primary race two years ago. He also can boast of more than 20 years as a business owner, a tire business now run by his son. The only issue raised in the race thus far is the office's $50 monthly online access fee. Johnston wants to get rid of it, while Gravitt only promises to take a look at the possibility. He said the office returned $1.8 million to the county last year, and while "government's not here to make money," the register of deeds is a fee-based office. He said he would need to examine the office's books over the last decade before making a decision and said he also would consider cutting the fee in half or only charging certain entities. Both men have told workers in the office — including Democrat Vickie Schroyer, who will face the primary winner in August — that they needn't worry about their jobs, and both promise even better customer service. Either man, it appears, would fit the office, but we prefer Gravitt at this time. Hamilton County voters haven't elected a Democratic county mayor — then called county executive — since 1990, but Aloyse Brown would like to break that string. A program manager for New York-based Church Pension Group, where she says she has worked with multimillion-dollar budgets, she'd like a shot at managing the county's $691 million budget. We think primary voters should give her that shot — at facing County Mayor Jim Coppinger, that is, in August — because she is the more prepared of the two Democratic candidates. The other Democrat, George Ryan Love, is disabled, works part-time and ran four years ago for his party's nomination for Congress in Tennessee's 3rd District. Brown, 40, told the Times Free Press editorial board she is "a natural leader," "a creative, innovative thinker" and "a problem solver." She says she knows how to listen, to bring people together and is good with numbers. "I have a very broad skill set," she says. The St. Louis native is basing her campaign on schools, crime, government transparency, reducing jail overcrowding and "investing in our crumbling county roads." Brown is appreciative of the "strong initiatives" and "swelling of energy" gathering around public schools in the last several years but believes the inequity in buildings, low teacher salaries and gap in early childhood education need to be addressed. She points to a need for more guidance counselors, in addition to more resource officers, to help keep schools safe, and has been consulting with Democratic sheriff candidate Victor Miller on ideas for reducing crime. However, she says, building another jail is not the answer to reducing current costs. We especially appreciate that Brown believes there should be "strong adherence to Sunshine [law] rules." Transparency is not the current county government's strong suit. "Government should be available to the public," she says. Brown says she plans to ask voters if they "are OK with the status quo, or do you want better?" We think she should get an opportunity to make that case, but making the case against an incumbent in a county that by most measures is doing well will be difficult. On the other hand, we strongly believe all office-holders need to be tested.